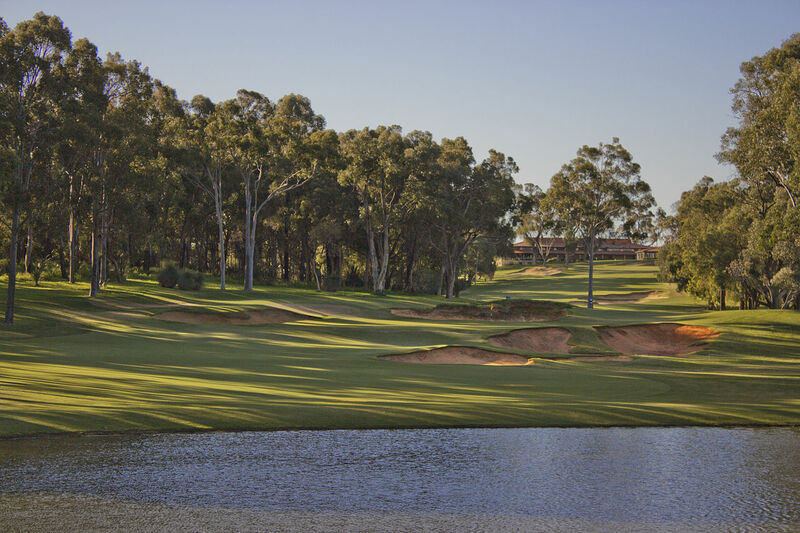 The 2017 World Super 6 Perth golf tournament on the European Tour is taking place this week from February 16-19, 2017, at the Lake Karrinyup Country Club located just north of Perth in Western Australia. Here is a list of the prize money up for grabs for the European Tour players at the 2017 World Super 6 Perth. Starting in 2017, the World Super 6 Perth (formerly the Perth International) is switching to a pretty weird format. The playing field of 156 players will be cut to 65 players plus ties after 36 holes followed by a second hard-cut to 24 players after 54 holes. Then match-play begins. The top 8 players with the lowest scores left will be given byes and the remaining 16 players compete in match-play contested over only six holes (par 4's 1,2,18 plus two par 3's 8 and 12, plus the par 5 11th hole). Any tied matches will return to the 18th and if the match is still tied after one playoff hole then the players tee off again on 18 from a special tee and the player closest to the pin wins. The eight winners then play the eight top players given byes over the same six holes in match-play and the winners advance to the quarterfinals, semifinals and finals until the final player left wins the tournament. On paper, the weird format looks interesting but we will have to see how the World Super 6 Perth actually plays out this week. Total prize money up for grabs at the 2017 World Super 6 Perth is $1.338 million. The same amount of prize money as last year. The prize money below has been converted from Euros to American dollars at the current exchange rate of 1.06. The winner of the 2017 World Super 6 Perth will earn $222,942. The winner of this tournament last year was Louis Oosthuizen from South Africa when the format was all stroke play. Second place is worth $148,629 at the 2017 World Super 6 Perth. Alexander Levy from France finished alone in second place here last year. Third place at the 2017 World Super 6 Perth golf tournament on the European Tour is worth $83,740. Jason Scrivener from Australia finished alone in 3rd place here last year. American Peter Uihlein tied for 4th place here last year with Gregory Bourdy from France.